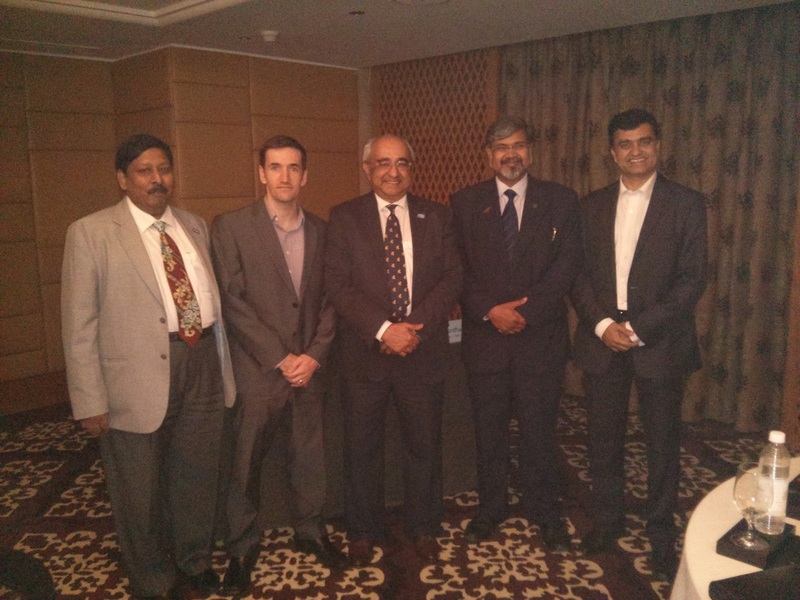 The Chairman was invited by BBG Bangalore to attend the meeting on 5th March. This covered the presentation on Rolls Royce by their President, Marc Drew. Marc put up several displays of the history from car making to aero-engines over 100 years. The company did go through a difficult period after World War II, when it was nationalized. The car company was sold and now belongs to BMW. The aero engines company has grown from strength to strength to power engines for jets, marine engines and various industries world-wide. Following the presentation the Bangalore Committee Members introduced themselves followed by the 20 attendees. K.C.Janardhan, Secretary invited Christie Cherian to say a few words – The Chairman expressed his pleasure in seeing BBG Bangalore meeting and offered a few tips an how to keep members interested in being part of BBG. He also invited all members to Chennai’s meetings, if and when they visited. A stimulating fellowship over cocktails followed the meeting.